Cathy Nordlund, South Region 8 community coordinator, understands what it means to donate time and resources for a good cause. 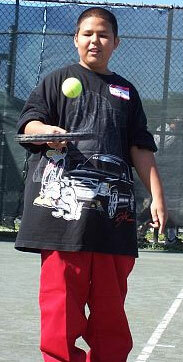 On Friday Jan. 19, USTA Florida joined together with the South Dade YMCA and Special Olympics Committee to help prepare kids for the 2007 Summer Games Competition which will take place at Miami Dade College on March 24 from 9 a.m. to 1 p.m. This training was the first of three Friday sessions held at the South Dade YMCA courts and included over 80 intellectually disabled children who had one common goal: learn to play tennis. 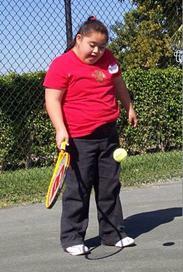 It is not every day that children with disabilities have the opportunity to play a sport. Some people don’t believe they can do it, while others doubt their ability to understand the concept. Special Olympics, Miami-Dade County strives to replace the idea of disability with the idea of diverse ability. The organization provides year-round sports training and athletic competition so individuals can demonstrate courage, develop physical fitness, build friendships and feel a sense of accomplishment. Sports offered include: bowling, cycling, tennis, golf, volleyball, soccer, basketball, roller skating, gymnastics, softball, swimming, equestrian, power lifting, and track and field. Most importantly, families and athletes are not charged a fee to participate. Putting together the training sessions took a collaborative effort by all three organizations and the Miami-Dade community. This was the first year that USTA Florida and the South Dade YMCA have been directly involved with Special Olympics in Miami-Dade county, even though it has been a goal of both groups. “It has been a longtime goal to increase tennis participation,” said Mark Thompson, executive director of Special Olympics, Miami-Dade County. The South Dade YMCA graciously offered their courts, teaching professionals and staff to assist with the workshops. As a result, USTA Florida gave the YMCA a $1000 grant to help offset the costs associated with using their facilities and resources. Michelle Streit, director of tennis at South Dade YMCA, has worked with special needs children for the past six years and truly believes in the philosophy of giving back. Miami-Dade County school buses picked up the children from their respective schools and brought them to the YMCA at 9 a.m. Tennis pros taught strokes such as racket bounces, forehand volleys and groundstrokes which varied in difficulty. 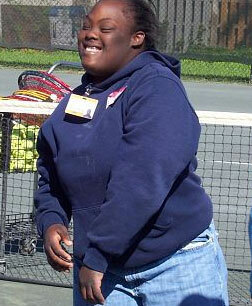 USTA National Trainer Susan Allshouse created the lesson plans and on-court activities for the sessions. Local business Paradise Embroidery & Silk Screen donated shirts for all 80 kids and staff which included the logos of USTA Florida, YMCA and Special Olympics. Michelle plans on brining tennis for special needs children to the YMCA while Cathy plans on incorporating both in-school and after-school tennis programs at local schools. 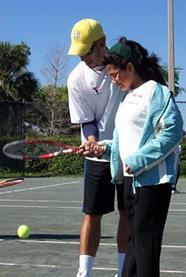 For further information, contact Cathy Nordlund at 305-252-6591 or nordlund@florida.usta.com. 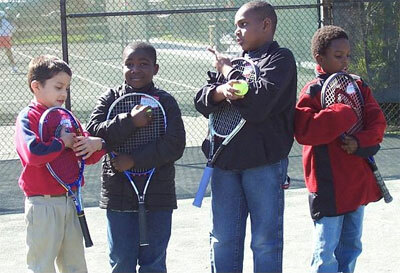 Thanks to everyone who dedicated their time and passion for tennis to help these wonderful children. Good luck athletes in the upcoming competition, and always remember to have fun!